It's time for episode 130 of Geeky Bubble (formerly Rebels Chat). 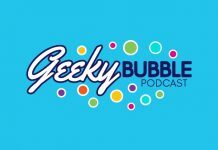 It's time for episode 129 of Geeky Bubble (formerly Rebels Chat) with Ashley Eckstein. It's time for episode 128 of Geeky Bubble (formerly Rebels Chat). It's time for episode 127 of Geeky Bubble (formerly Rebels Chat). It's time for episode 126 of Geeky Bubble (formerly Rebels Chat) featuring an interview with Mark Von Ohlen from Star Wars Authetics & Topps. It's time for episode 125 of Geeky Bubble (formerly Rebels Chat). It's time for episode 124 of Geeky Bubble (formerly Rebels Chat). It's time for episode 123 of Geeky Bubble (formerly Rebels Chat). It's time for episode 122 of Geeky Bubble (formerly Rebels Chat). It's time for episode 121 of Geeky Bubble (formerly Rebels Chat). It's time for episode 120 of Geeky Bubble (formerly Rebels Chat). It's time for episode 119 of Geeky Bubble (formerly Rebels Chat). It's time for episode 118 of Geeky Bubble (formerly Rebels Chat). It's time for episode 117 of Geeky Bubble (formerly Rebels Chat). It's time for episode 116 of Geeky Bubble (formerly Rebels Chat). It's time for episode 115 of Geeky Bubble (formerly Rebels Chat). It's time for episode 114 of Geeky Bubble (formerly Rebels Chat). It's time for episode 113 of Geeky Bubble (formerly Rebels Chat). It's time for episode 112 of Geeky Bubble (formerly Rebels Chat). It's time for episode 111 of Geeky Bubble (formerly Rebels Chat). It's time for episode 110 of Geeky Bubble (formerly Rebels Chat). It's time for episode 109 of Geeky Bubble (formerly Rebels Chat). It's time for episode 108 of Geeky Bubble (formerly Rebels Chat). It's time for episode 107 of Geeky Bubble (formerly Rebels Chat). 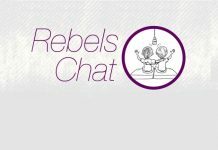 It's time for episode 106 of Rebels Chat.